At the Labour Party Conference at the end of September, the Jewish Labour Movement and a few CLPs are proposing to move an amendment which, if passed, will brand criticism of Israel and Zionism, as ‘anti-Semitic’. In Israel there is a far simpler way of preventing criticism than changing Rule Books. 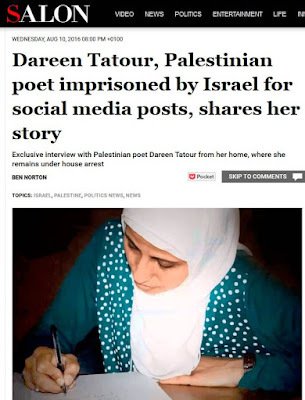 Palestinians who express forbidden views (& virtually everything can be forbidden at whim) are simply locked up. 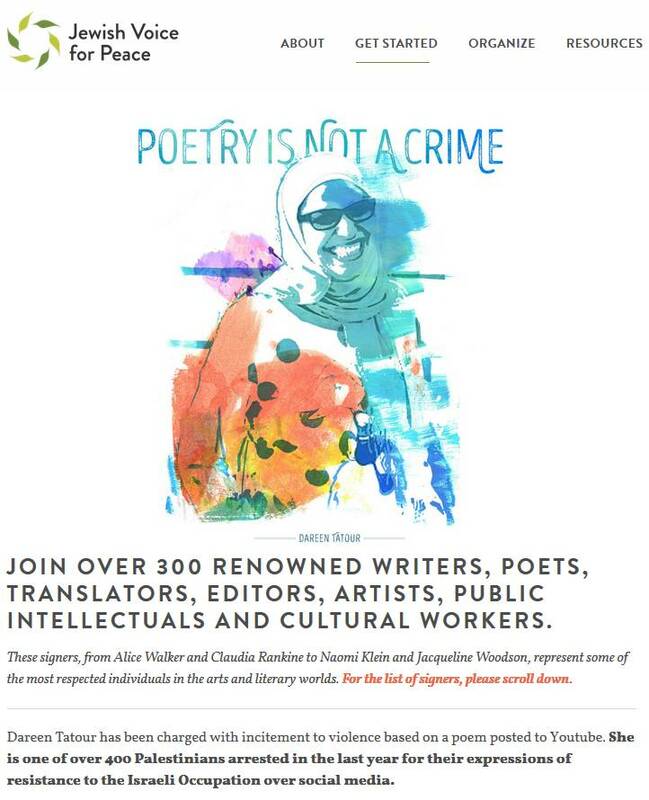 Administrative detention means that you can be gaoled without trial, for 6 months at a time, renewable indefinitely. All this is in addition to censorship. The Jewish Labour Movement, which has never, not once, opposed or criticised Israel’s racist and genocidal policies towards the Palestinians is now attempting to make criticism of Dareen’s arrest and similar injustices, a disciplinary offence in the Labour Party. It is of course supported by Tom Watson MP, Progress and other racist trash. In Israel Jews can post the most vile and obscene insults on Facebook with impunity – only Arabs are ever arrested or charged. See Train driver calls on every Israeli to “run over” an Arab. 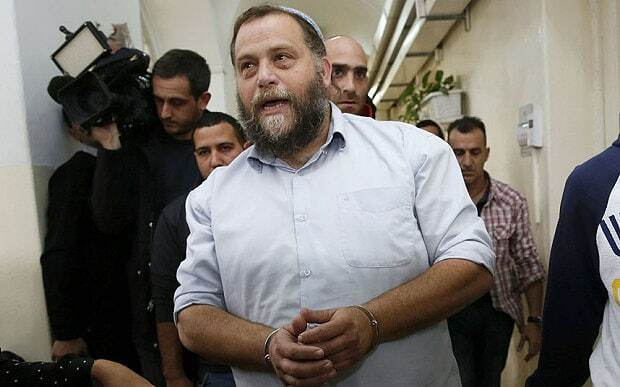 Benzi Gopstein, leader of Lehava, a government funded fascist organisation which campaigns to break up and prevent relationships between Jews and Arabs using bands of thugs, called for the burning down of mosques and churches. Despite calls from the Vatican for his prosecution, he is still at liberty. Burning of Christian churches in Israel justified, far-Right Jewish leader says If an Arab had suggested burning down synagogues then he would have been immediately arrested. Shami Chakrabarti in her Report on Racism and Anti-Semitism dealt with this attempt to say that a hate incident or crime was anything that the ‘victim’ defined it as. In other words the JLM has perverted the meaning of the MacPherson Report recommendation into the initial recording by Police of an incident as a racial incident in order to brand as racists, people who criticise Israel. If someone, who happens to be Jewish, takes offence at political criticism of Israeli practices or policies and says that in their view what has been said is anti-Semitic, then the proposed new rule means that their view will determine the guilt or otherwise of the person accused. According to this, any Zionist who happens to be Jewish can call themselves a ‘victim’. Imagine, in the days of Apartheid in South Africa, a White South African saying that criticism of Apartheid was racist against him as a White person. He would have been laughed out of town. Yet that is exactly what is being proposed except that Israel is substituted for South Africa. It is identity politics gone mad. It means that a racist, when criticised, can define themselves as a victim and no one can challenge their self-definition. Logically anyone who wants to defend reactionary or oppressive practices can claim they are a victim of racism. Some people argue that Female Genital Mutation is an integral part of their religion or ethnicity. Perhaps criticism of FGM could be construed as racist? Likewise some people claim the Burka is part of the Islamic faith. Perhaps criticism of this is also racist? Anyone criticising any religion could be branded as racist thus forbidding at a stroke secularism. 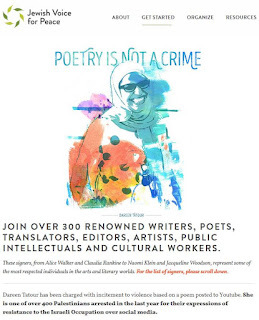 What has happened to the principles of Charlie Hebdo or Voltaire? There isn’t a Palestine Solidarity activist in the country who hasn’t been accused of ‘anti-Semitism’. There has been a bogus ‘anti-Semitism’ campaign in the Labour Party for two years. It has been directed at the Left, including Jewish supporters of the Palestinians such as myself and Jackie Walker. Jeremy Corbyn was accused of anti-Semitism for allegedly associating with a holocaust denier. The bogus Zionist ‘charity’ the Campaign Against Anti-Semitism even filed a complaint against Corbyn for anti-Semitism. If the JLM amendment is passed then anyone who criticises Israel or Zionism, the ideology and movement that led to the founding of the Israeli state as a Jewish majority and racial supremacist state, will be liable to be accused of anti-Semitism. The JLM’s attempt to forbid criticism of Israel by crying ‘anti-Semitism’ will have a chilling effect on free speech in the Labour Party. Anyone can define themselves as a victim. In practice this will be only Zionist Jews. Anti-Zionist Jews, who are the subject of real abuse, (‘self haters, kapos etc.) can expect to be disregarded. Some of us already have been suspended in Iain McNicol’s witch-hunt. 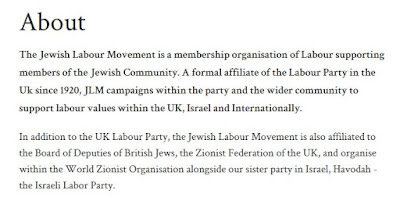 The JLM is the British branch of the Israeli Labour Party. It describes itself as the ‘sister party’ of the ILP. The ILP is an openly racist party. Isaac Herzog, its recently resigned leader spoke of his nightmare that Israel had a Palestinian Prime Minister and 61 Palestinian Members of Israel’s Knesset. Who needs the Right when we have Isaac Herzog? Herzog also recently declared that he wanted to dispel the false impression that the ILP were ‘Arab Lovers’ Herzog slammed for remark about ‘Arab lovers’. It was an Israeli Labour Government that expelled ¾ million Palestinians in 1948 in order that Israel could become a majority Jewish state. 8. 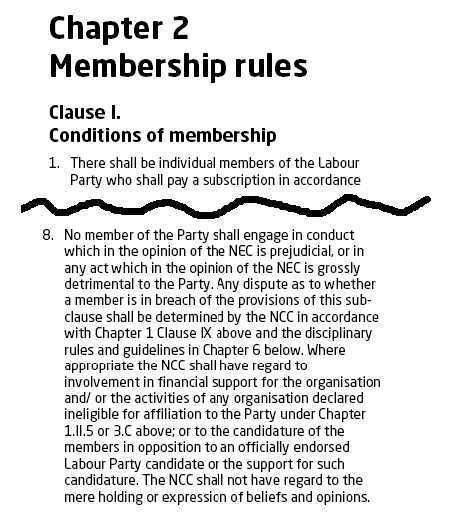 No member of the Party shall engage in conduct which in the opinion of the NEC is prejudicial, or in any act which in the opinion of the NEC is grossly detrimental to the Party. Any dispute as to whether a member is in breach of the provisions of this subclause shall be determined by the NCC in accordance with Chapter 1 Clause IX above and the disciplinary rules and guidelines in Chapter 6 below. 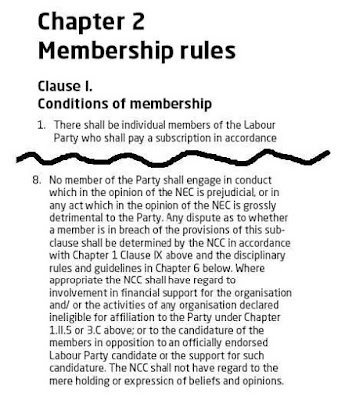 Where appropriate the NCC shall have regard to involvement in financial support for the organisation and/ or the activities of any organisation declared ineligible for affiliation to the Party under Chapter 1.II.5 or 3.C above; or to the candidature of the members in opposition to an officially endorsed Labour Party candidate or the support for such candidature. The NCC shall not have regard to the mere holding or expression of beliefs and opinions. So the ‘mere holding or expression of belief’ will become a disciplinary offence – this is thought crime. Many people hold racist opinions. We live in a racist, sexist etc. society. The way to eradicate such views is not to expel people but to persuade and educate them. It would exclude large swathes of the working class from membership because their language is not PC. It is ironic that the defenders of Apartheid are proposing an ‘anti-racist’ amendment to Labour’s rules! Israel defines itself as a ‘Jewish state’, that is a state in which Jews will always be in a large and permanent majority. It is a state where Jews are privileged over and above non-Jews. That is why Israel has a Jewish and Arab education system, why Arabs are barred from many areas of employment and land, why Jewish students are eligible for grants unlike most Arab students and why a plurality of Israeli Jews believe that Arabs should be physically expelled from Israel altogether. The chant of ‘death to the Arabs’ is a favourite of the Right in Israel. The whole purpose of the JLM is to defend the Israeli state, right or wrong. This amendment means that if Israel is criticised, it is the critics who will be charged with ‘anti-Semitism’. So if someone is deemed to have used racist language in private they are guilty. This is an open invitation to set up a police state within the Labour Party, replete with informers. This suits the JLM, since their whole purpose is to defend the Israeli state, but Labour members should be worried. The JLM’s actual amendments are ostensibly about anti-Semitism not Zionism but these ‘supporting arguments’ make it clear that the intention and rationale behind the amendments is to defend Israel and Zionism. In other words the JLM is admitting to the fact that their amendments are not about anti-Semitism but have an ulterior purpose. 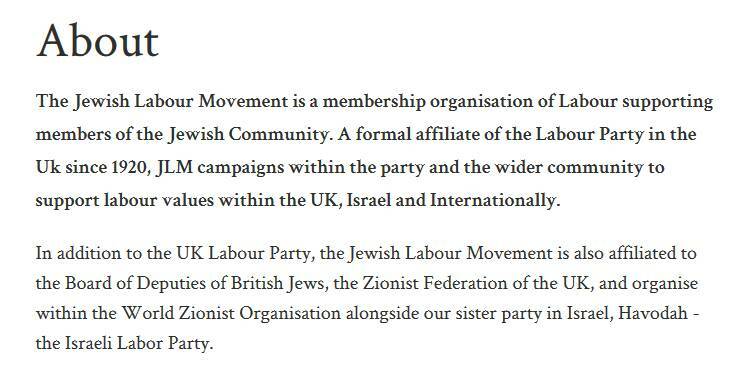 The JLM want to outlaw any use of the term Zionist or Zionism that is pejorative. The problem is that Zionism is a racist political ideology and movement. It is an extremely abusive indeed murderous ideology. How can its use be anything other than abusive or derogatory? There is no ‘nice’ version of Apartheid. Of course the word Zionist should not be substituted for Jew but the people who are most guilty of this are Zionists! For example in his article for the Daily Telegraph, the Chief Rabbi Ephraim Mirvis, wrote that ‘One can no more separate it from Judaism than separate the City of London from Great Britain. [see Ken Livingstone and the hard Left are spreading the insidious virus of anti-Semitism].